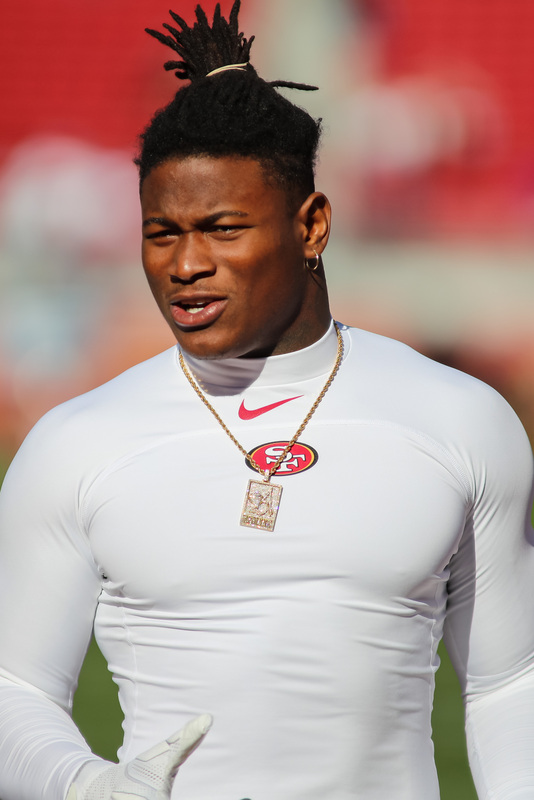 Reuben Foster‘s employment status with the 49ers is now tenuous because of the legal investigation that stems from three felony charges, and the linebacker will not be permitted to join the team until that matter is resolved. On the eve of their offseason program, the 49ers announced Foster will not be participating in team activities while this investigation is ongoing. The Alabama product is facing up to 11 years in prison for his alleged domestic violence acts for which he was arrested earlier this year. The former first-round pick is not yet eligible for the commissioner’s exempt list because the league’s investigation is also ongoing. This would have allowed him to work out with the team in the meantime, but the 49ers are making a preemptive strike in that regard, for the time being. Just do an indefinite suspension. Always? Less criminals than most in the long legacy of the 49ers organization. Upmost class. The Harbaugh era was only 4 years and only 2 of those, multiple players had legal issues. But if the 49ers release him and the Raiders pick him up and play him half the year before the legal process plays out, what good is that? Lynch has a plan for Foster. 49ers never gave a f.ck about bandwagon fans so I hope the door slammed you in your face on your way out. Was probably wearing an orange jumpsuit when he posted this. Jim Harbaugh loved criminals on his team. Aldon Smith wasn’t drafted by Harbaugh so who else you got Trump2020?